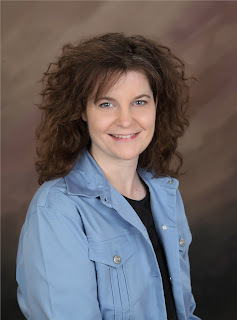 Please Welcome Traci Borum, author of Seeking the Star and the Chilton Cross series. Hi Traci, we are happy to have you on Genuine Jenn! Let's get started. I’m a literature and writing instructor from Texas. I’ve been interested in the process of writing since I was about twelve years old. I think my earliest curiosity came directly from reading. At some point, as a child, I remember thinking, “Hey, someone, somewhere is actually writing these words on the page—they didn’t just appear there by magic!” And since that point, I became interested in peeking behind the curtain, looking at the “other side” of the reading experience—creating characters, storylines, images, etc. I’ve been hooked on writing ever since. What was your inspiration for ‘Seeking the Star’? Seeking the Star is the third book in my Chilton Crosse series (they’re all stand-alone books with different main characters). I was interested in writing a Christmas-themed book, and when I was brainstorming, I pictured a stranger wandering into the village. I wanted him to have a mysterious past and a dark outlook on life. And the couple who takes care of him (after he collapses on their doorstep) has a strong faith. I liked the dynamic of someone with clear faith coming into contact with someone who had none, and to see what might come of it. Plus, the Christmas season seemed a perfect venue for themes of redemption and spiritual searching and love. What three words would you use to best describe Mary? Ben? What about Mac? Fun question! Mary: genuine, faithful, quirky. Ben: lost, vulnerable, jaded. Mac: loyal, soft-hearted, hard-working. I’m currently hard at work on Book 4 in the [Chilton Crosse] series. It moves the main spotlight to Julia, the woman who runs the bakery, and her father, the elderly man who sits outside and hands out samples to everyone. I’m having fun figuring out these characters and their back stories. What is the hardest part about being a published novelist and also a creative writing teacher? It can be a particular challenge, writing and having a full-time teaching job. But I’m grateful that teaching gives me summers off and an extended Christmas holiday off each year. During busy semesters, I don’t usually have the mental energy or time to write, but I’m always brainstorming. My goal is to start writing the next novel right after the May graduation. I have time to prep a novel during semesters, then write the rough draft during the summer, so it works out really well. I enjoy contemporary women’s fiction the most—some can be light and fluffy, some can be more literary and serious. My absolute most re-readable novels are, without a doubt: The Shell Seekers by Rosamunde Pilcher, The Blue Bistro and The Island by Elin Hilderbrand, The Thorn Birds by Colleen McCullough, The Lost Art of Keeping Secrets by Eva Rice, Without Reservations by Alice Steinbach (< --not women’s fiction, but it reads like it is), The Girls’ Guide to Hunting and Fishing by Melissa Bank, Julie and Romeo by Jeanne Ray, Ladder of Years by Anne Tyler, and Beautiful Ruins by Jess Walter. All are incredible books, beginning to end. When you are writing, do you like to listen to music? If so, what is on your playlist? I love listening to quiet instrumental music while I write. Certain movie soundtracks work very well, such as Emma, Sense & Sensibility, How to Make an American Quilt, and Still Breathing. Piano music is also a favorite. I adore listening to artists like Jim Brickman, John Tesh, Liz Story, George Skaroulis, or John Hobart. Who is your favorite character in your books? Can you relate to one more than the others? I know it’s a cop-out, but I love them all for different reasons. Still, if I had to choose a minor character as a favorite, it would have to be Mac. He’s the heart and soul of the village, looking out for everyone, helping quietly meet their needs. He’s not a gossip. He’s very loyal, and I love that about him. As for the main characters, I would actually choose Julia, the baker’s daughter (from work-in-progress Book 4) as a favorite. I didn’t think I’d like her when I started writing her (I’ve sort of presented her as grumpy or anti-social in the other novels), but when I found out who she was, as I discovered her past and got to know her better—how hard she works at the bakery, how much it takes to care for her elderly father, the fact that she lost her mom so early—I’ve really enjoyed her the most. She’s probably the most down-to-earth and genuine (but insecure) of all my main characters, so far. Do you ever take characteristics or nuances from close friends or family when working on character development? If so, has that friend or family member noticed, and what was their response to it? I don’t think I consciously borrow characteristics directly from friends or family members, but the relationships in my novels often contain small traces of relationships I have now with people, or have had in the past. For me, it’s more about leaning on real-life dynamics of a certain relationship I’ve had, than of individual characteristics of people I know. At home, I have a little alcove/nook with a window behind my computer. So, I sit here and write and glance up at the squirrels playing in trees now and then. It feels private and isolated, which helps me escape from the world for a little while, and write. Elin Hilderbrand’s Winter Stroll. I’ve read all her books, but somehow missed that she’s written two Christmas books! So, I bought both of them last month. Maybe somewhere a little colder (this Texas heat can be so draining). Somewhere beautiful, like Colorado or Vermont. A place where the leaves change with brilliant colors. Has a reader ever seen something in your novels that you had not intended or noticed? It’s funny—some readers will have quite strong reactions to characters that I hadn’t expected. For instance, someone recently told me she “couldn’t stand!” the father in Finding the Rainbow. Yes, he has flaws, but I’ve never viewed him as unlikeable. But that’s what I love about the writing process. I write the characters as I see them, but when readers get ahold of the book, they might see other things in the characters. They bring their own perspectives and opinions and experiences to the table when they read. Which is a great thing! I think a book actually “belongs” to the readers more than to the writer. Once my book is in readers’ hands, I see it as “theirs.” The book becomes whatever they want (or need) it to be. Thanks, Traci, for taking the time to chat with us on Genuine Jenn! Thanks so much for this interview! I had a lot of fun answering the questions.